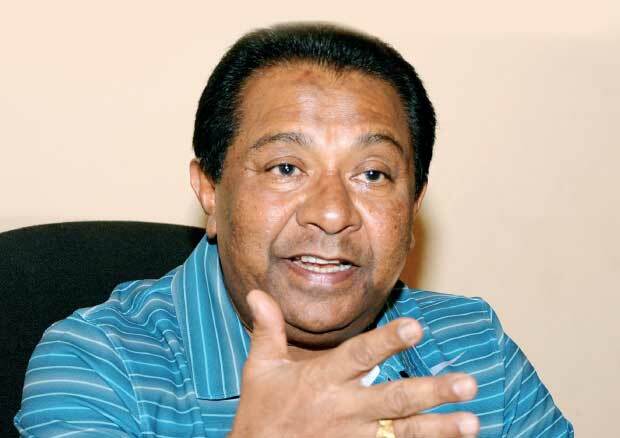 Q In the context of MP Ravi Karunanayake relinquishing his office as the Foreign Affairs Minister, how do you look at the current political situation? We have to be thankful to him for resigning from his office without compromising the credibility of the Government. I am thankful to him. Q The bond commission was appointed by the Government. It’s believed that this has aroused antagonism between the United National Party (UNP) and the Sri Lanka Freedom Party (SLFP) . How true is it? I don’t say that there is resentment between the UNP and the SLFP. Yet, there are contrasts in policies between the two. Reconciling them is impossible. It shouldn’t be interpreted as ill-feeling towards each other. When a Government is formed by the two sides- regardless of such differences- it creates a whole lot of problems. That is viewed by some as resentment. It’s natural. We should be thankful to the President and the Prime Minister for forging ahead with the Government despite these differences and problems. We have achieved a lot for the country as a result of such efforts. Q What are the gains you see? We were able to avert a resolution being mooted against Sri Lanka at the United Nations Human Rights Council (UNHRC). This would have had disastrous consequences on the country. If a resolution of that nature was adopted, we would have been labelled as perpetrators of war crimes, who even bombed schools and hospitals. Then, we would have faced economic sanctions from Europe at least. Then, it would have caused a huge problem to our apparel, rubber, pepper and cinnamon markets. Secondly, the Government was able to enact the 19th Amendment to the Constitution. The Presidential powers were pruned and vested with the Independent Commissions. These are gains for the country. Q The 19th Amendment has been in operation for two years. The credibility of the Constitutional Council is disputed as it’s represented by those directly and indirectly connected with the Government. So, the Government’s opinion prevails in the appointment of members to the Independent Commissions. What is your response? The Independent Commissions aren’t supposed to be anti-establishment. That’s why it’s chaired by The Speaker. It consists of the Prime Minister and the Opposition Leader along with their nominees. It has the President’s nominee. The Government doesn’t have a free hand in its affairs at all. The Prime Minister also can’t act on his own. The Constitutional Council does what is more appropriate for the country in the end. Q The President’s power to dissolve Parliament has been taken away for four and half years by the 19th Amendment. When the country is experiencing a politically chaotic situation, the ultimate choice is a general election. That’s impossible now. What is your view? Parliament can be dissolved with a two-third’s approval in Parliament even now. Q Yet, it’s highly unlikely to muster the support of a two –third in any Parliament for such a purpose. The argument is that there should have been a provision to dissolve the House with the support of a simple majority rather than a special majority. What’s your stand? It’s a debatable point. However, the country should avoid a system that provides for constant elections. It’s always better for a Government, elected with a public mandate, to function at least for four and half years without any hassle. In the past, the President could dissolve Parliament after one year. It amounted to the callous disregard of public opinion. Now, it’s a different situation. Elected representatives can govern for four and half years at least. It is a gain in terms of democracy. One shouldn’t misjudge it. Q In the implementation of the UNHRC resolution, the Government has been subjected to severe public criticism. Then, how do you view the UNHRC process as a gain for the Government? That is actually due to political slogans. The bill on Enforced Disappearances is such a democratic piece of legislation. That is to criminalize disappearances of persons in Sri Lanka. There is opposition to this bill. Are they supporting the disappearances of people? These are features of an advanced democracy. Those who are against it incite racism and religious fanaticism. Q Upon the completion of two years by the Unity Government, a faction of the SLFP is threatening to quit the Government. As a senior SLFP Minister, do you also believe in it? That is a matter for the party as a whole to decide. The party will decide on it. It’s natural that problems crop up when running a Government. Yet, the party should decide. Q What is your personal opinion? I don’t like to express my personal opinion in this regard. I am the Treasurer of the party. Also, I am a Cabinet Minister. So, I should refrain from making any comment. Q How do you see the future of the SLFP? At the last elections, the SLFP stood by Mahinda Rajapaksa. At the Presidential elections, we lost even the meager support we commanded from the Muslim, Tamil and Catholic communities. Young voters didn’t cast their ballots for our candidate. Our party’s General Secretary Maithripala Sirisena defected from us and contested the elections. He won. We asked Rajapaksa to stay away after that. We asked for the nomination of his brother Chamal-who hasn’t any allegations against him- for the post of Prime Minister. However, Mahinda Rajapaksa didn’t agree. He came forward as the candidate. As a result, his vote base dwindled from 5.8 million to 4.7 million at the Parliamentary Elections. However, the SLFPers stood by Rajapaksa. In fact, we were voted out by our people though we asked him to stay away. Today, the situation is different. At present the party is divided down the middle. Party men are rejecting the Rajapaksa ‘group’. The SLFP, as a party, is growing. The Rajapaksa ‘group’ is getting diluted. It happened in the past. When Maithripala Senanayake, along with Anura Bandaranaike, defected from the party, he had the majority. Finally, he became a nonentity. The same happened when Chandrika Kumaratunga defected along with Vijaya Kumaratunga. Mahinda Rajapaksa is facing a worse predicament compared to others. He decided to conduct the Presidential Elections two years ahead of schedule. He, without consulting anyone, handed over the party to President Sirisena. He should be held responsible for weakening the party. Q But, there is an allegation that the Government harbours fears of conducting elections. In fact, the opposition is challenging the Government to conduct elections if possible? They do so with the motive of obtaining political favours. They play tricks by creating a momentum so that they can keep their supporters together. That is why they talk about toppling the Government in a matter of two Vesak Poyas. But, I don’t think that SLFPers will support a new party formed under the Flower Bud symbol. Today, SLFP MPs with the Joint Opposition keep contact with the President. Q Practically, do you believe it’s possible to mend the differences between Mahinda Rajapaksa and the President? If the former President takes a step back, there will be enough opportunities for it. Q In your view, what is the major policy difference between the UNP and the SLFP? In running the economy, the UNP believes in the private sector playing a pivotal role in production, distribution and services sectors. The SLFP is for strengthening both the state and private sectors. This is the main contrast where policy is concerned. Q Then, how far does the leasing out of the Hambantota Port to a Chinese company conform to SLFP’s policy line? Q The Chinese company holds majority shares. Isn’t it? Investors aren’t foolhardy to come to Sri Lanka without seeking majority shares in such investments. If they do so, they are foolish. We aren’t in a position to turn around the Hambantota Port and bring it to a profit making level. We can’t recover the losses incurred by the Mattala Airport. We can’t even run the cultural theatre profitably. So, we need a robust investor to run all these. We have worked out a deal which is much more in our favour. This agreement is advantageous to us. It will enable us to develop Hambantota as a production exchange hub in Asia. Q How do you respond to geopolitical connotations that entail this project? We are inviting China to develop the port in Hambantota. At the same time, the Mattala Airport is to be given to India. In Vietnam, the United States is the biggest investor. The United States engaged in a war against Vietnam. The United States withdraw finally in the face of an onslaught by Vietnam soldiers. All the world powers started investing there. It’s the same with South Korea. There, they went in for lease agreements running for 400-500 years. It’s better for us to attract world powers to invest in Sri Lanka. It’s a wise decision to balance out India and China. Q What is your view on the move to postpone the Provincial Council Elections? I don’t think the Government wants to postpone the elections. It isn’t appropriate to conduct staggered elections throughout the year. It’s a good move to conduct the elections on the same date. Q You had issues with former President Chandrika Kumaratunga. She wields a lot of power within the SLFP now. How do you feel when you work together? I don’t face any issue as such. I clashed with her over policy matters. We didn’t go to President Sirisena. In fact, our party was entrusted in his (Sirisena) hands. After I made a comeback to the SLFP from the UNP, I was determined not to quit the party again. I was invited to join those acting outside the party today. I always told them that I would never leave the party. However, I was projected as someone who would be leaving one day. It was done by the Rajapaksa ‘group’. People, in fact, believed in it.